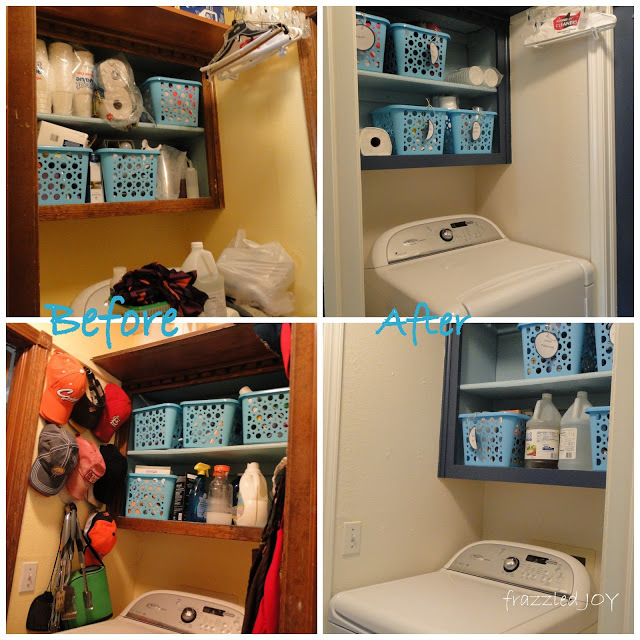 On Monday, I decided to clean-up and declutter my laundry room. 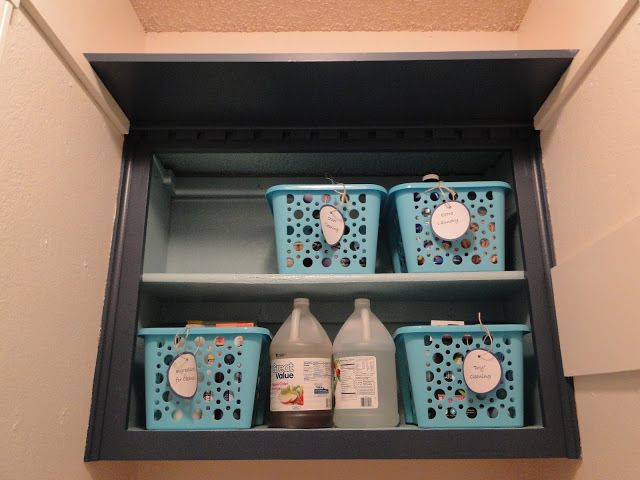 So, as I started to throw things away, and clean – really clean, I got an itch to paint. I cleared everything out and this is where I started. 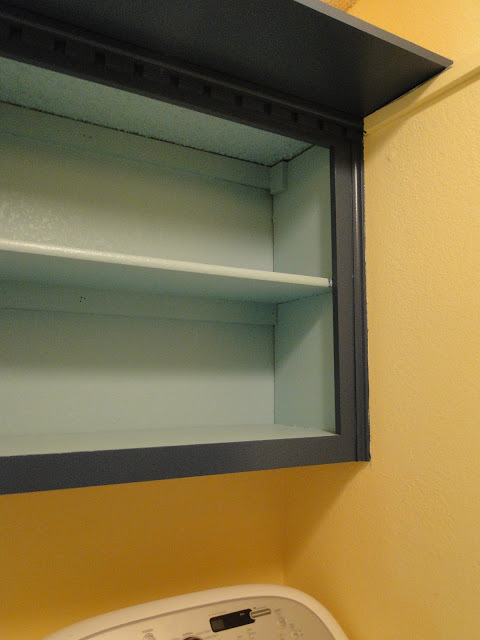 I had removed the doors on the cabinets a couple of years ago, and painted the inside of the cabinets this fun turquoise color. 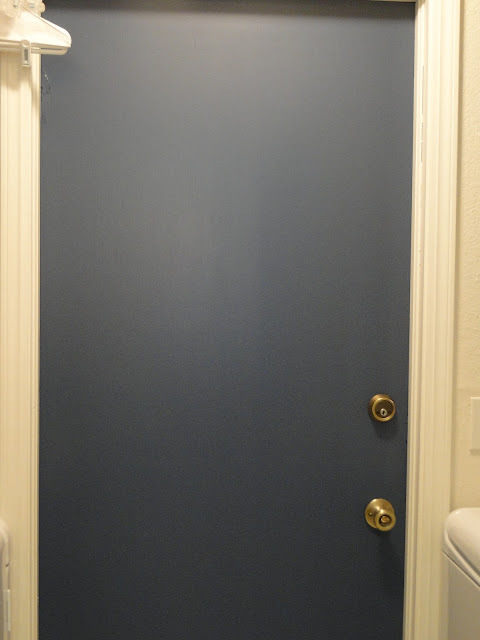 Lately I have been craving some navy blue in my house, and just so happens that I had some leftover navy blue paint from one of the boys’ rooms. Yippee!! Free!! 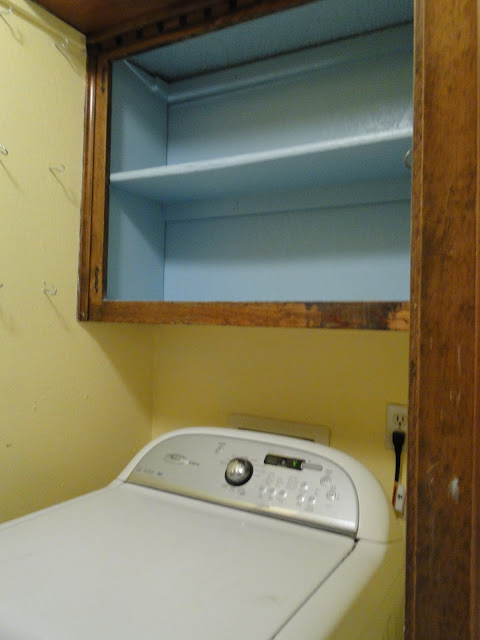 I painted all the parts of the cabinets that were still wood. After that I stood back and checked it out. 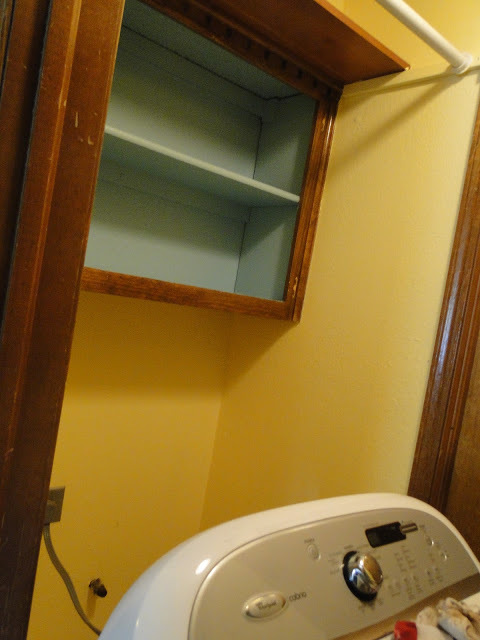 I had these baskets from the first make-over when I took the doors off and painted the inside of the cabinets. But….I had never labeled them. 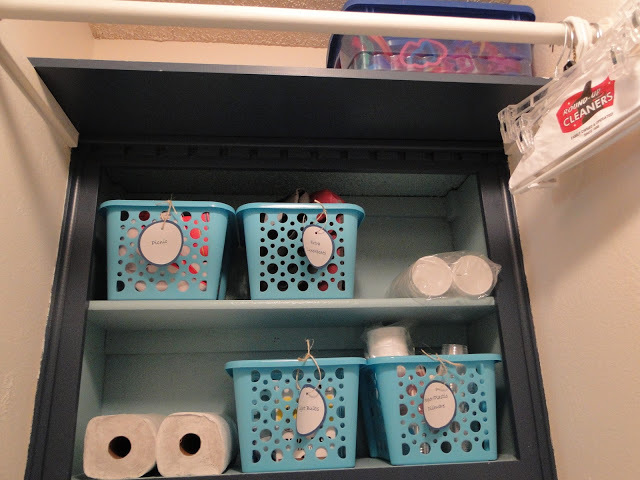 What I have found in trying to organize my home – if the baskets aren’t labeled then all kinds of things end up in the baskets and the organization doesn’t work. 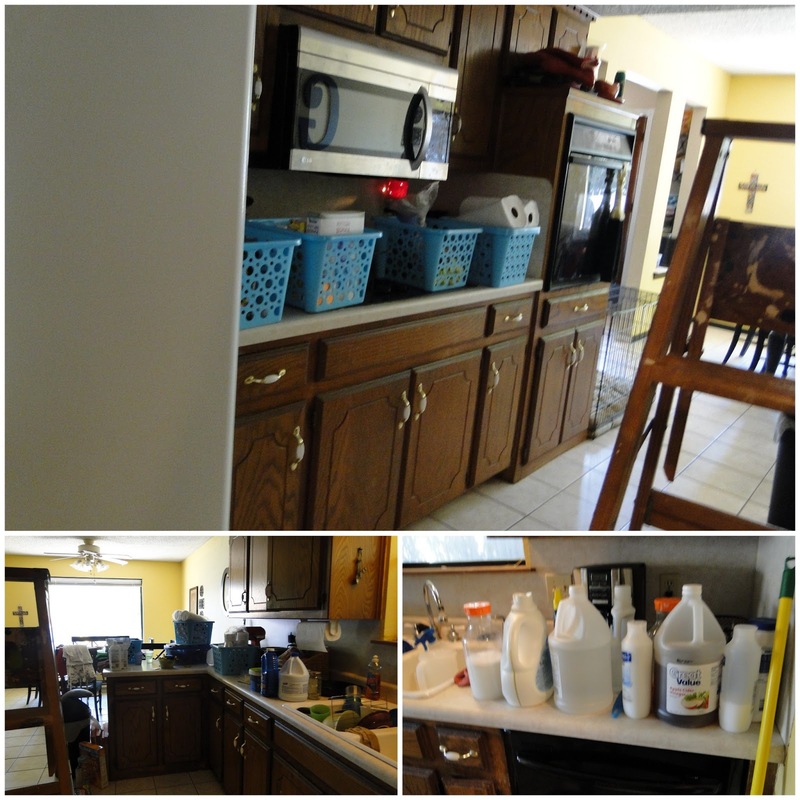 Here’s a before and after for your viewing pleasure. One Room Challenge Laundry Room Update – The Reveal!!! 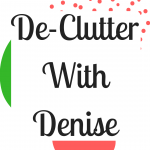 Wow, Denise. That's a great change! You gave that paintbrush a work out! 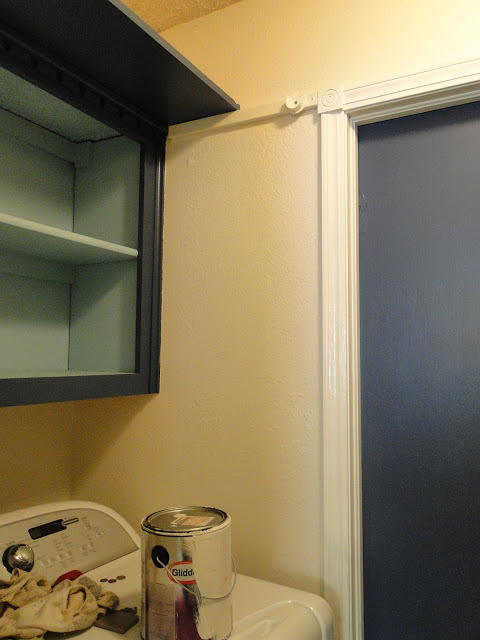 Love the navy cabinet and the white makes a huge difference. I'm poring over white paint samples myself. Love the side by side before and after! Ha! Loved that motivation photo! Everything looks so fresh and clean, the white was a perfect choice! 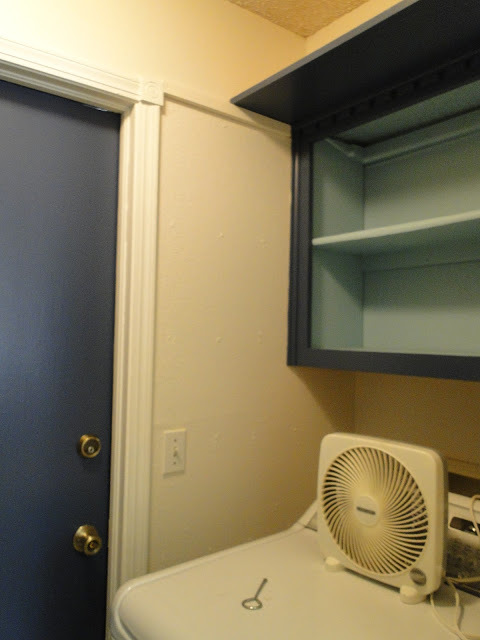 You have made such a difference – looks like a new room! 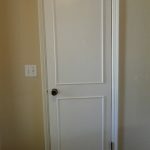 LOVE the navy and the lighter blue together, and the antique white on the walls, and I think you've done the door in navy too? Well done! 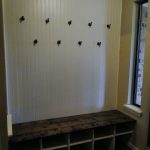 You have motivated me to tackle my space that looks very similar to yours! Great job. 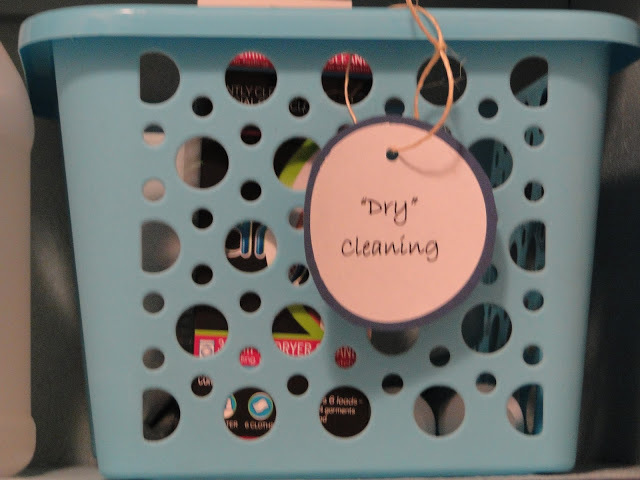 Ditto on the baskets needing labels. I'm terrible without the label to keep me straight.